WARSAW, Poland (AP) — President Barack Obama has written a letter to the Polish president expressing "regret" for an inadvertent verbal gaffe that caused a storm of controversy in Poland this week. Obama on Tuesday used the expression "a Polish death camp" while honoring a Polish World War II resistance hero rather than wording that would have made clear that he meant a death camp that Nazi Germany operated on Polish soil during its wartime occupation of Poland. 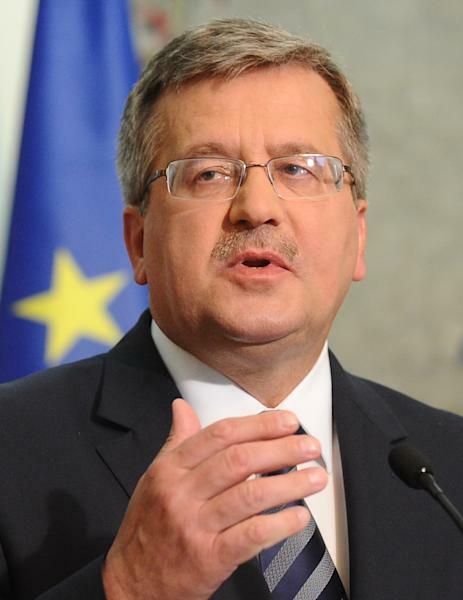 Warsaw has been waging a campaign for years against phrases such as "Polish death camps" or "Polish concentration camps" to refer to Auschwitz, Treblinka and other German killing sites. The language deeply offends Polish sensitivities because Poles not only had no role in running the camps, but were considered racially inferior by the Germans and were themselves murdered in them in huge numbers. "In referring to 'a Polish death camp' rather than 'a Nazi death camp in German-occupied Poland,' I inadvertently used a phrase that has caused many Poles anguish over the years and that Poland has rightly campaigned to eliminate from public discourse around the world," Obama wrote. "I regret the error and agree that this moment is an opportunity to ensure that this and future generations know the truth." 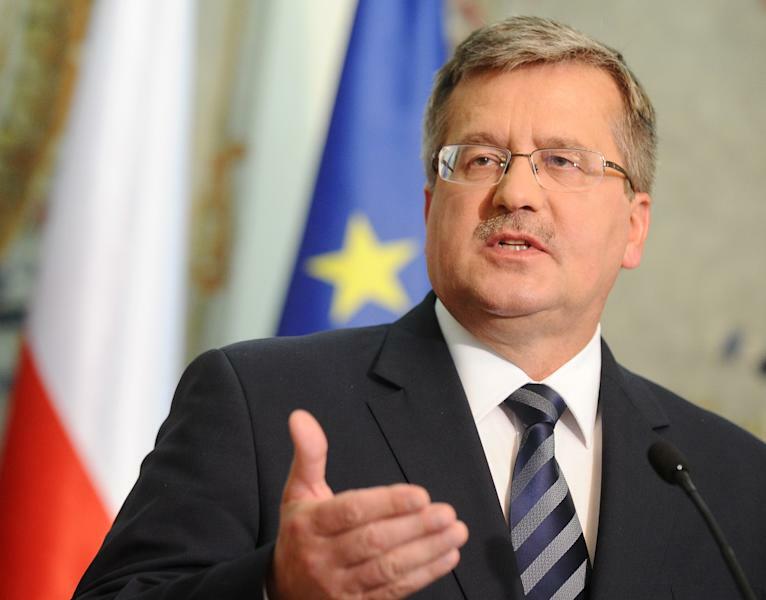 "The events of the past few days and the U.S. president's reply may, in my opinion, mark a very important moment in the struggle for historical truth," President Bronislaw Komorowski told reporters. Obama made the verbal slip-up while posthumously awarding the Medal of Freedom to Jan Karski, a resistance fighter who struggled to tell the outside world about the murder of Jews in his country. Karski, who was Catholic, smuggled himself into the Warsaw Ghetto and a death camp, witnessing the atrocities committed against the Jews firsthand. He then took that information to President Franklin Delano Roosevelt and other Allied leaders, imploring the world to act. Karski later became a professor at Georgetown University and died in 2000. For days, Obama's words have dominated the news in Poland. Prime Minister Donald Tusk said the entire Polish nation felt affected. "We always react in the same way when ignorance, lack of knowledge, bad intentions lead to such a distortion of history, so painful for us here in Poland, in a country which suffered like no other in Europe during World War II," Tusk said Wednesday. 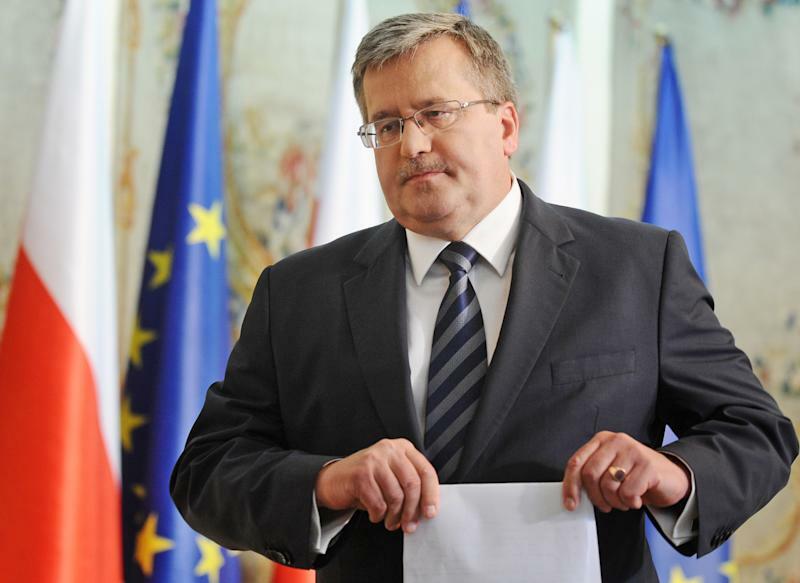 Komorowski's reaction was more muted. He said Wednesday that he knew Obama's words did not reflect any bad intentions but that they were nonetheless "unjust and painful." He wrote that day to Obama, and Obama's letter came in reply to that. In his response, Obama noted that "the Polish people suffered terribly under the brutal Nazi occupation during World War II." "In pursuit of their goals of destroying the Polish nation and Polish culture and exterminating European Jewry, the Nazis killed some six million Polish citizens, including three million Polish Jews during the Holocaust," Obama wrote. "The bravery of Poles in the underground resistance is one of history's great stories of heroism and courage." Later Friday, Polish Foreign Minister Radek Sikorski tweeted in reaction to Obama's letter: "Thank you, President Obama. Truth, honor and the legacy of Karski satisfied. Please feel free to send us your staffers for re-education."